Create your own Italian Valetto to attend to your needs. This gorgeous Valetto Bedding is printed on a cotton linen blend and paired with Missy embroidered shams and our easy Saratoga Stripe. Dressed with brand new Allegra sheeting and our lovely Couture coverlet, Valetto makes a strong statement in perfectly quiet shades of gray, luscious cream and fun apple green. Downright Mackenza comforter is an economical comforter and pillow made with white down. It is also available as a baby comforter. Yarn dyed twill luxury bedding. 100% linen. SDH Kent bedding is produced with neutral colors – Stucco, Rye and Dove. 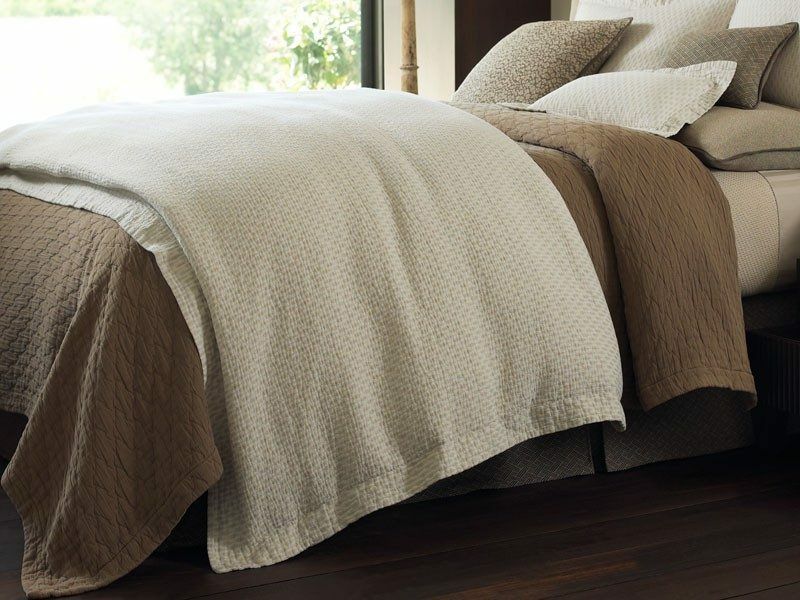 This bedding’s color and appearance will work in almost every bedroom decor. 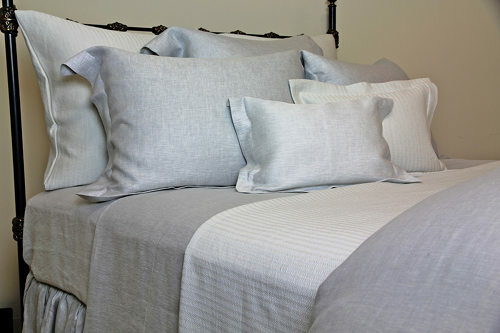 SDH Kent bedding is available as a duvet, top sheets, fitted sheets, pillow cases, shams and bed skirt. This reversible collection is characterized by the youthful hemstitch on the pillowcases. It is available as a duvet cover, sham, pillowcase and sheet set. 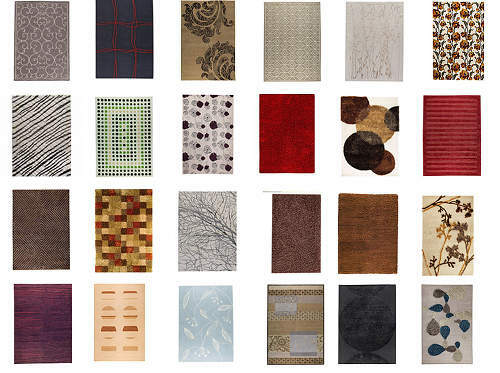 Double swatch sets are available so that fabrics may be viewed at home. 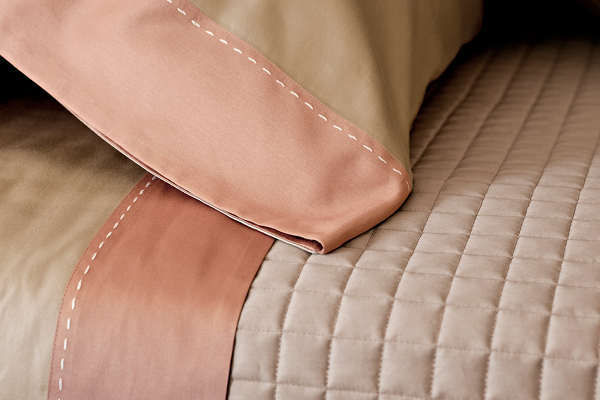 Dominique duvet covers is made with a yarned-dyed teardrop design with an easy care garment washed finished. Available as duvet, sham and dec pillow. Made of 65% Cotton / 35% Linen. Machine washable. This crib collection 4-piece set includes bumper, crib skirt 20″ drop, crib sheet, and crib blanket. The sheets colors are simply luscious and are available in Minky Smooth Blue, Minky Smooth Cream, Minky Smooth Pink and Minky Smooth Celery. An optional lettered monogram is available for many of the pieces. Which is your favorite letter? Modern seersucker design. 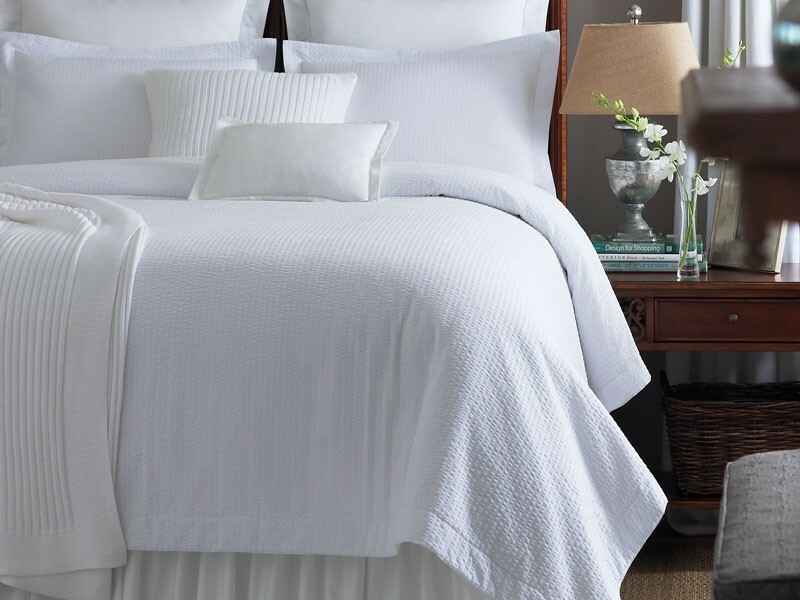 300-thread-count 100% Egyptian cotton percale. Imported from Portugal. Machine Washable. Suitable for anyone looking for a white bedding. Available as a coverlet, sham, dec pillows and blanket cover. 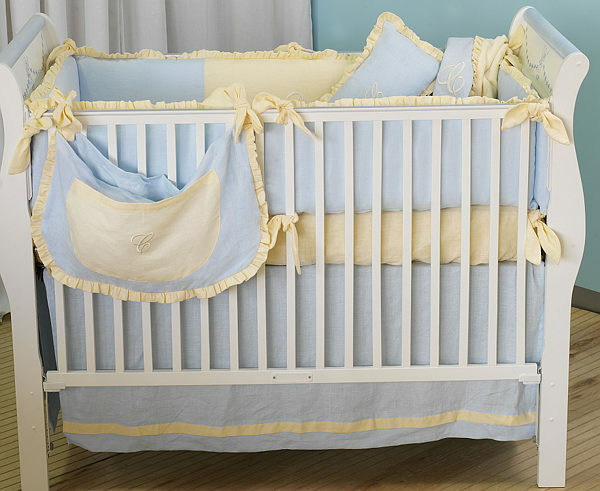 This crib collection 4-piece set includes bumper, crib skirt 20″ drop, crib sheet, and crib blanket. The bumper is accented with a Hot Pink Polka Dot fabric. 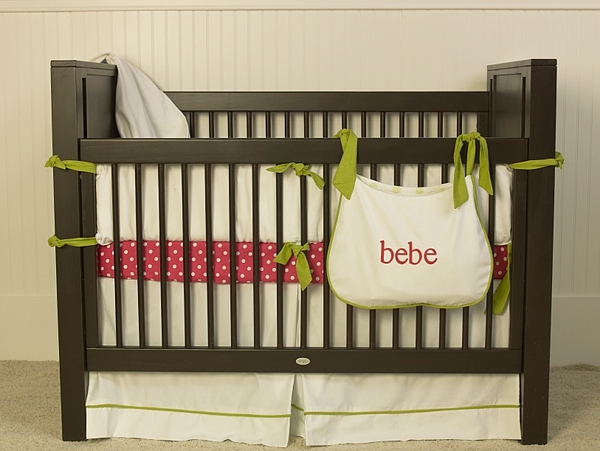 The crib sheet is available in six different fabric options. In addition a window treatment is available for the baby bedding.